The CR-V goes above and beyond in the name of safety. Specifically, the new Honda offers an available collision mitigation braking system as well as an available lane departure warning system, which are not offered by the Escape. Plus, the new CR-V is an IIHS Top Safety Pick Plus. The Escape wasn’t recognized by the IIHS. According to Car and Driver speed tests, the 2015 CR-V accelerates faster to 60 and 100 mph than the 2015 Escape. Standard continuously variable transmission (CVT) distinguishes the CR-V as a preferable option if drivers are interested in conserving fuel and putting less strain on their car’s engine. The Escape doesn’t offer CVT. The new CR-V has 6 extra cubic feet of room for passengers, which makes a pretty big difference in terms of comfort. In terms of cargo, the CR-V offers more space and convenience. It comes with a total of 70.9 cubic feet of space, in comparison to the Escape’s 68.1 cubic feet of space. Ergonomically speaking, the CR-V is a champ. Its one-touch power windows, standard locking fuel door, and adaptive cruise control all give it an edge on the road in comparison to the 2015 Escape. The 2015 CR-V has been recognized by a number of top publications like Consumer Reports and Motor Trend. The Escape hasn’t. Itching to hop in the front seat of a 2015 Honda CR-V? Come take a test drive at Benson Honda! 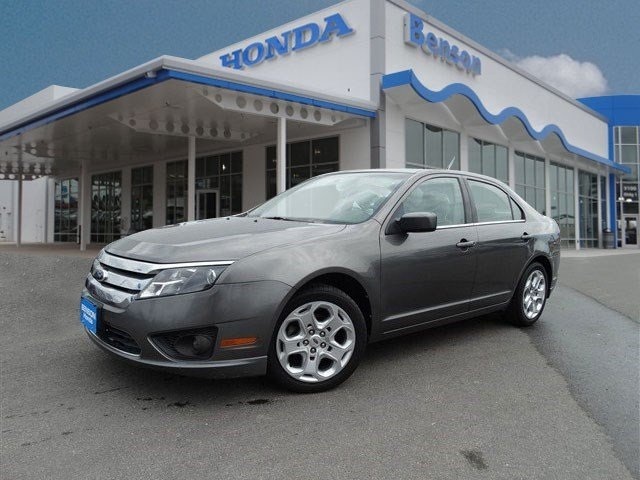 This Ford Fusion sedan is in excellent condition and priced ultra-low at $9,994. Its beautiful gray exterior turns heads. Plus, its 3-liter, V6 flex fuel engine makes you feel competent and control wherever the road takes you. It even offers Sirius XM radio with a free subscription for six months! This Versa only has 37,449 miles on it! And we’re selling it for the low price of $11,988. For a Versa that’s just around a year old, this is quite the deal! 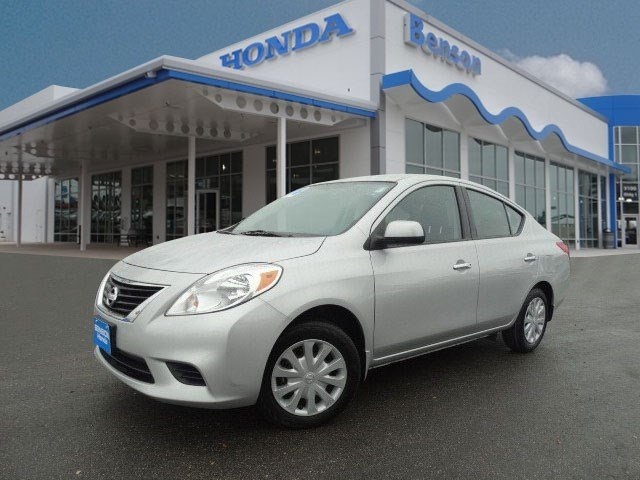 Did we mention this Versa comes with an EPA-estimated highway fuel economy rating of up to 35 mpg? Oh, and it offers extras like auxiliary input, a 12-volt power outlet, and electronic stability control! Style, power, and efficiency: what more could you ask for from a compact crossover? 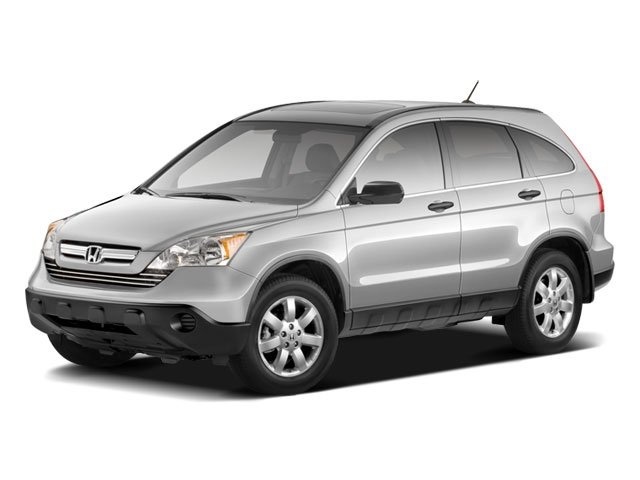 This pre-owned CR-V is just $12,995 at our dealership! It gets up to 27 mpg on the highway (based on estimates), comes with direct steering, and even boasts extras like alloy wheels and an MP3 decoder! This 2015 Sonic only comes with 7,096 miles. You read that right. It’s barely been broken in on the road, and it’s yours for $14,488! Some of its outstanding features include, a 1.4-liter, turbocharged I4 engine, Chevrolet MyLink radio, smartphone integration, USB ports, and more! 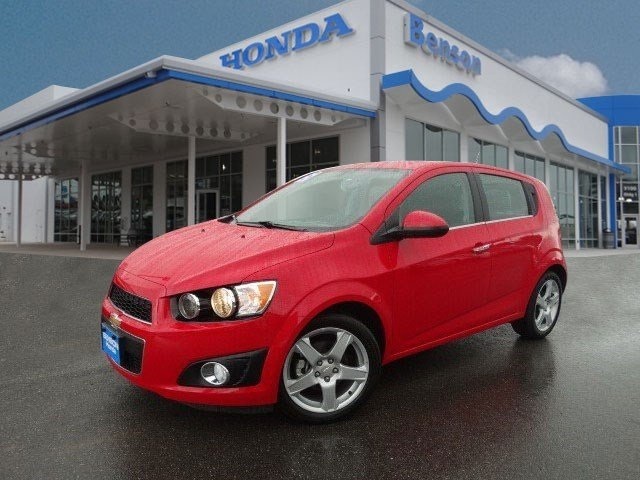 Ready to test drive one of these or learn more about your other pre-owned car options? Contact us at Benson Honda!